2. NFB 2011 Scholarship Program Now Open! 3. Sign Up for 2011 NFB Youth Slam! 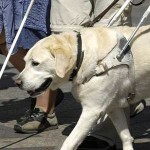 NABS Presents First Conference Call for Parents of Blind Children! Not sure about how your blind child is going to tackle classes such as Biology or Physics? Ever been curious about what majors and specialization blind individuals have had in the past? Do you believe that careers and learning about fields such as Science, Technology, Engineering and Math- (STEM), are “too difficult” or “dangerous” for your blind child? Do alternative techniques a blind person may use in such fields just baffle you? Please attend the Membership phone call, presented by the Membership Committee of the National Association of Blind Students. I hope your semester is going well. 1. NABS Reps are Here for You! 2. This Month’s Conference Call: Science and More! 3. NABS Kicks off Pennies for Pages Fund-Raiser! 5. Minutes from Last NABS Board Meeting! NABS Reps are Here for You! Are you hoping to organize a new student division at your state convention this year? Is your division looking for new ideas or planning a change of leadership? Are you looking for advice from someone who is experienced in organizing and leading student divisions? The NABS board are here to help! At the 2010 NFB National Convention, two of the National Scholarships were awarded to Pennsylvania students.